The “130 for 130” Legacy Campaign will support the recently launched 130th Anniversary Curricula, which aims to push medical and health sciences education to new frontiers. Stronger than ever; Ready to meet the challenges ahead; Aspiring to ever better care of our patients. The Faculty of Medicine (formerly known as the Hong Kong College of Medicine for Chinese) is both the first tertiary education institution in Hong Kong and the first local school of medicine. The first two graduates of the Hong Kong College of Medicine for Chinese, Sun Yat-sen and Kong Ying-wah, are granted the qualified diploma of medicine. The Nethersole Hospital provides the first nursing course in Hong Kong. The Alice Memorial Hospital opens, offering the first medical course for midwives. Ho Miu Ling Hospital, named after one of Ho Kai’s sisters, is opened. The College is renamed the Hong Kong College of Medicine. Licentiates of the Hong Kong College of Medicine are recognized to be able to sign death certificates. Foundation Stone of Main Building is Laid by Governor Frederick Lugard on March 16, 1910. 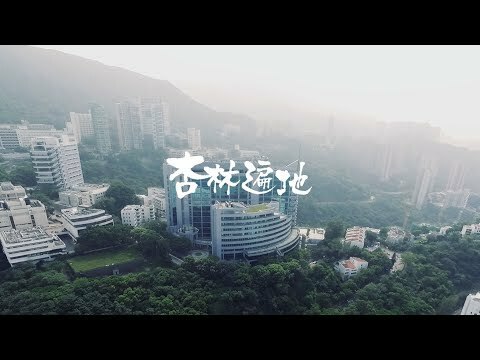 The University of Hong Kong is formally opened and the Hong Kong College of Medicine is incorporated within HKU as the first faculty. F. W. Clark becomes the first dean of the Faculty. The Ng Li Hing School of Anatomy is founded at the University of Hong Kong. George Harold Thomas, a former student at the College of Medicine, becomes the first graduate to be conferred the combined degree, Bachelor of Medicine and Bachelor of Surgery, from the Faculty of Medicine at HKU. The Ng Li Hing School of Anatomy is extended to accommodate Physiology and is known as the School of Anatomy and Physiology. The School of Tropical Medicine and Pathology is opened on a site adjacent to the School of Anatomy and Physiology. Wang Chung-yik becomes the first Chinese to be appointed to the Chair of Pathology. The Rockefeller Foundation offers to fund chairs in Surgery, Medicine, and Obstetrics and Gynaecology. The Chairs in Medicine and Surgery are established. The Rockefeller-funded chair in obstetrics and gynaecology is established. Phoon Seck-wah becomes the first graduate from the Faculty to be awarded the degree of Master of Surgery. The General Medical Council renews its recognition of the MBBS Degree after a visit by Richard Needham. The School of Surgery, later renamed Digby School of Surgery, is formally opened on 7 January. Queen Mary Hospital is opened to provide clinical teaching, with the exception of obstetrics for HKU medical students. HKU activities are put to a halt. Gordon King, the dean of the Medical Faculty, commands the University emergency hospital to provide medical assistance to both civilians and the military. HKU classes resume. 33 medical students, who completed studies in Free China are conferred the recognized degree by the Hong Kong University Medical Degrees Emergency Committee. The University is officially reopened and new medical undergraduates are admitted again. The first post-war group of 22 students graduate. One outstanding student, David Todd later becomes the first graduate to be appointed as a professor of medicine. The Medical Council of Hong Kong requires all medical students to complete a pre-registration year of internship in hospital after graduation. A. R. Hodgson and F. E. Stock publish a paper on their pioneering anterior approach for the surgical treatment of spinal tuberculosis. The new technique catches worldwide attention and becomes known as the “Hong Kong operation”. The new Pathology Building at Queen Mary Hospital is formally opened. The first student is admitted for a Doctor of Philosophy degree. The first open-heart surgery in Hong Kong is performed by Ong Guan-bee and his team. Li Shu Fan Building of HKU Medical Faculty in Sassoon Road is opened to accommodate preclinical departments. The first phase of a then unnamed building adjoining the Li Shu Fan Building, housing the Medical Library and Faculty offices, is formally opened on Jan 22. The Professorial Block is opened within the Queen Mary Hospital compound to facilitate teaching, administration and research for patient care departments. The first kidney transplant is performed by a surgical team at Queen Mary Hospital. The construction of Patrick Manson Building is completed, which houses Medical Library and Faculty offices. The first successful microsurgical thumb replant in Hong Kong takes place. The Pauline Chan Building is opened on the HKU Medical Campus, and consists of student and staff amenities as well as the Medical Illustration Unit. Rosie Young Tse-tse is appointed as Dean of the Faculty, the first HKU medical graduate for the post. The library at the Li Shu Fan Building is renamed the Lee Hysan Medical Library. Celebrations take place for the centenary of HKU Medical Faculty and of medical education in Hong Kong. The first bone marrow transplant in Hong Kong takes place. Hong Kong’s first liver transplant is performed by a team at Queen Mary Hospital. The Department of Nursing Studies is established and the Bachelor of Nursing program is launched. A surgical team from HKU carries out the world’s first successful living-related adult liver transplant using the donor’s right lobe. The undergraduate medical curriculum undergoes a major reform, introducing problem-based and system-based learning. The School of Chinese Medicine and the Bachelor of Chinese Medicine program is launched. The new medical campus for the Medical Faculty on Sassoon Road is opened. The new complex with 48,250 square meters is well equipped with facilities for medical education and research. The Department of Microbiology identifies the SARS coronavirus as the primary causative agent for SARS. The Institute of Medical and Health Sciences Education is established, providing a regional benchmark and fostering excellence in professional medical education. The State Key Laboratories of Emerging Infectious Diseases and Brain and Cognitive Sciences are established - the first of such located outside mainland China. The liver transplant team from the Department of Surgery receives first-class award in the category of State Scientific and Technology Progress Award. A research project titled “Control of Pandemic and Inter-pandemic influenza”, led by HKU researchers, has been awarded HK$76 million in funding by the University Grants Committee (UGC) in the fourth round of its Areas of Excellence (AoE) scheme. It is the largest funding ever awarded by the UGC under the AoE scheme. The Faculty launches the Bachelor of Pharmacy program. The School of Public Health is officially inaugurated in 2009. And following an internal reorganisation in 2012, all substantive functions of the then Department of Community Medicine, Unit for Behavioural Sciences, influenza/public health virology research team (previously part of the Department of Microbiology), and HKU-Pasteur Pole become incorporated into the School. The Faculty ranks No.1 in Asia in the category “Clinical, Preclinical and Health Universities” of the 2010 Times Higher Education World University Rankings. Two health-related projects, "Personalized Medicine for Cardiovascular Diseases: From Genomic Testing and Biomarkers to Human Pluripotent Stem Cell Platform" and "Cell-based Heart Regeneration", led by the Faculty's researchers are funded in the first round of the Research Grants Committee's Theme-based Research Scheme. The Faculty launches the Bachelor of Biomedical Sciences program. New articulation arrangements between Biomedical Sciences of HKU and Veterinary Studies of The University of Edinburgh are introduced, enabling students to acquire two degrees in seven years. The HKU liver transplantation team wins the First Class Award of 2013 Higher Education Outstanding Scientific Research Output Awards from the Ministry of Education, China. HKU School of Public Health is designated as a WHO Collaborating Centre for Infectious Disease Epidemiology and Control. “The Making of Healers” explores the essence of modern medicine in Hong Kong through an intimate and close-up look at its practitioners. © 2019 Li Ka Shing Faculty of Medicine. The University of Hong Kong. All rights reserved.